Coaching for Natural Energy + A Lifestyle You Love. As a mind-body eating coach, holistic herbalist and aromatherapist, I tailor health plans and botanical medicines in support of your health, body awareness, wholeness, and the fuel of self-empowerment. Over the past decade, as a practitioner, I’ve seen many clients discover a greater sense of Life satisfaction, ease from chronic pain, digestive imbalances, fatigue, immune disorders and stress. I've worked with individuals through their chronic pain, multiple sclerosis, arthritis, allergies, insomnia, anxiety, mood swings, skin imbalances, immune disorders, digestive disorders, depression, fatigue, fibromyalgia, weight challenges, binge eating/overeating, and body image challenges. I’ve sat with a lot of those too, and would be honored to share what I’ve discovered through years of study and life experience. We can integrate daily aromatherapy rituals, or other herbal medicines, such as medicinal teas, bathing salts, hydrosols, anointing oils and tonics. Each session is tailored to your current health needs, unique physical constitution, health story, and life goals. It is a time for your health and healing story to be heard. Like many people who truly love their work, I've had a long standing passion for my work; holistic health, bodywork, intuitive healing, and natural medicines. I began my personal journey with natural healing after nearly a lifetime anxiety, digestive disorders, joint paint, anxiety, insomnia, depression and weight challenges. And, began to deepen my relationship with the Plant world from a young age, when I first began working in the garden, alongside my aunt Rose on the weekends. That lead me to years spent working in green houses and on woodland restoration crews ... among other plant enthusiasts -- heaven! Like many others on the path of healing arts, I saw a lesson in my journey through body imbalance and pain. One that showed me ways that I too may help others! I spent nearly a decade filling my left (logical) brain with as much information on nutrition, clinical herbalism, aromatherapy, psychology, and medical massage therapy only to realize that sometimes our deepest healing gifts actually lay in the power of our intuitive Nature. It's a blend of intuitive and clinical healing modalities that I offer in support of your health today. With a passion to help individuals recover from chronic pain, anxiety and stress in a holistic, natural and sustainable way, as mentioned, I pretty much had my head in the books (between clients) for well over ten years. 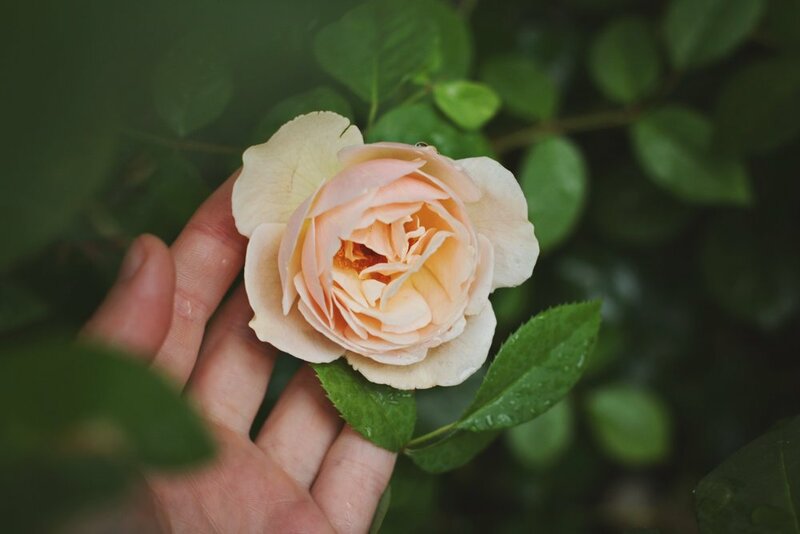 I was thankful to get into landscaping, green houses, and woodland restoration at a young age...where I discovered how truly Nourishing having your feet in the dirt, and hands with the Plants could be. I pursued training in energy work. I grew up a nerdy girl for anything symbolism, dreams, psychology, color, design, music, astrology, the afterlife, crystals, and healing. Yes, I've always liked the woo woo. During my early twenties, during the forefront of my left brain deep dive, I participated in an intensive work-study at an herbal health clinic for two years. Shortly after, I began my clinical training in aromatherapy and received my associated in Medical Massage therapy. In 2012, I was accepted into a one to one full time clinical herbal apprenticeship in upstate New York with world renowned herbalist, 7Song. While there, I had the opportunity to work in a fully integrative and free health care clinic for the duration of 2013. In 2014, I began my certification as a Mind-Body Eating Coach with the Institute for the Psychology of Eating, which was absolutely life changing for me. I've felt fortunate and honored to study with some of the worlds leading herbalists, nutritionists, aromatherapists, and massage therapists for they have allowed helped my practice to flourish into what it is today ... a beautiful, supportive and sacred apothecary to share in person and online. Together, we learn to fully embrace personal empowerment, overcome chronic pain, imbalances, anxiety, and fears around health.